deste lado do atlântico e que não estabelece distinções entre a proveniência do material do qual se constrói a música. 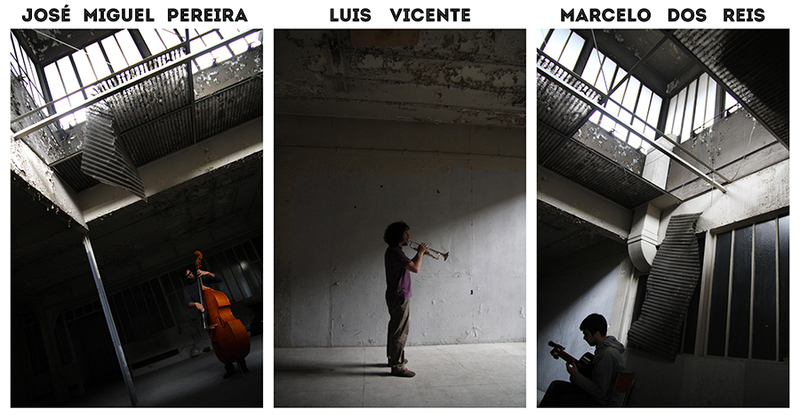 the group presents itself as an invocation of something lost on Eric Dolphy´s Iron Man or as one search of new directions. is to ignore pre-set conventions, except to remember the shape of jazz to come. So there is no formal percussion section and the “lead” instruments do not necessarily lead. The music harks back to free jazz and chamber music but it is totally modern, predicting what’s coming about exploration, creating new music in real time. putting together all the ideas from the other experiments in just one picture, in a single Frame. moving himself between traditional jazz to the electronic music and free improvisation, recently was released his first record as leader, “Outeiro” (JACC Records). In the last years he played in dozens of venues and festivals in Portugal, Spain, Hungary, Austria, Germany, Czech Republic, Slovakia and Poland. Marcelo dos Reis (Lisbon, 1984) He is one proeminent voice in the Portuguese creative music scene. Toshimaru Nakamura, Théo Ceccaldi, Werner Dafeldecker, Kátia Sá, Angélica Salvi amongst many others. Lawrence « Butch » Morris, Jason Hwang and William Winant have been crutial for his instrumental language development, admittedly not academic.